At the base of all sturdy temporary fences is a strong, reliable feet system. 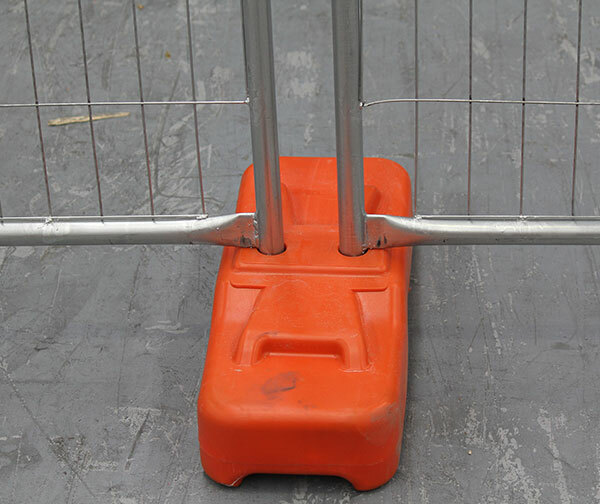 Our temporary fencing feet are designed to offer the utmost stability while still being easy to install, transport and store. All of our fencing feet are engineered to offer maximum stability in all types of environments and weather conditions without being overly obstructive or taking up too much space. The special shape of our fencing feet minimises the amount of room occupied while maximising the number of fencing panels they can connect. While fencing feet are responsible for lending stability to temp fencing panels, they are also the frequent culprits of pedestrian accidents. With that in mind, we have designed our fencing feet in more than one colour and without sharp edges. Our fencing feet consistently outperform designs found elsewhere, offering a high level of stability without the weight and inconvenience. 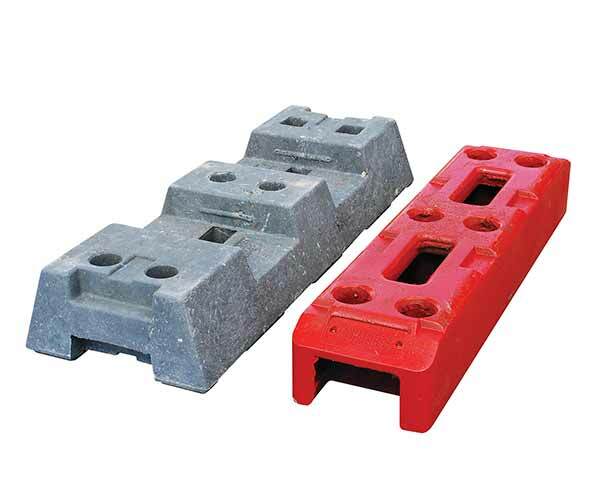 In fact, when compared to concrete fencing feet, ours are not only a fraction of the weight but also more stable. 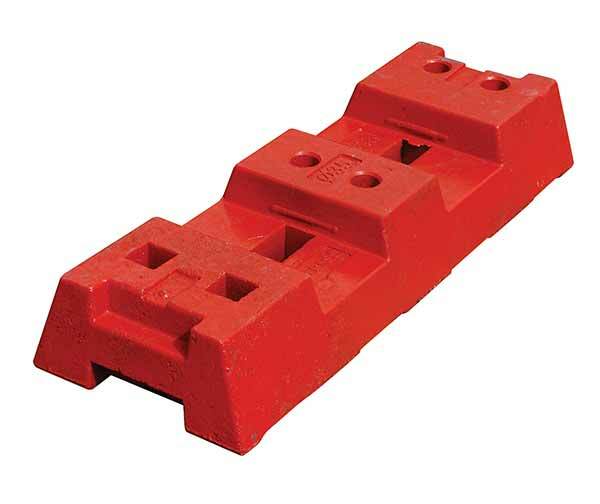 Our fencing feet are suitable for all types of sites, environments and situations, and perfectly compatible with our many temp fencing options.